In Lose Your Mother, Saidiya Hartman traces the history of the Atlantic slave trade by recounting a journey she took along a slave route in Ghana. Following the trail of captives from the hinterland to the Atlantic coast, she reckons with the blank slate of her own genealogy and vividly dramatizes the effects of slavery on three centuries of African and African American history. The slave, Hartman observes, is a stranger—torn from family, home, and country. To lose your mother is to be severed from your kin, to forget your past, and to inhabit the world as an outsider. There are no known survivors of Hartman's lineage, no relatives in Ghana whom she came hoping to find. She is a stranger in search of strangers, and this fact leads her into intimate engagements with the people she encounters along the way and with figures from the past whose lives were shattered and transformed by the slave trade. 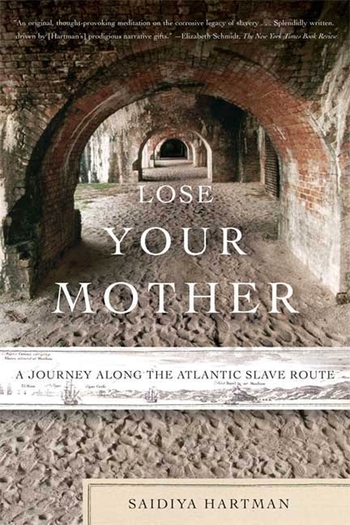 Written in prose that is fresh, insightful, and deeply affecting, Lose Your Mother is a "landmark text" (Robin D. G. Kelley, author of Freedom Dreams). Saidiya Hartman is the author of Scenes of Subjection. She has taught at the University of California at Berkeley and is now a professor at Columbia University. She lives in New York City.